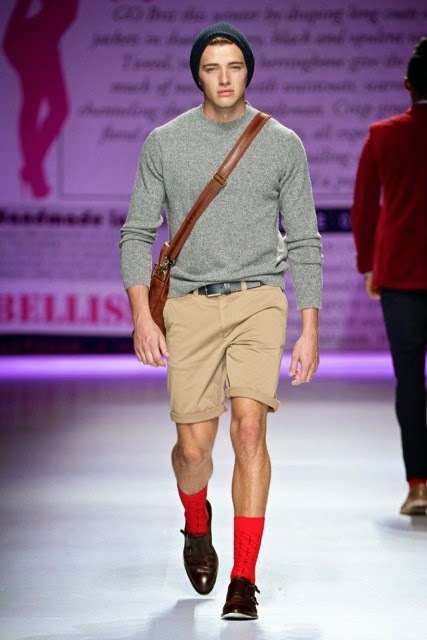 Menswear dominated the runway at MBFWJ14, especially the luxury brand Fabiani with their Modern Dandy collection. 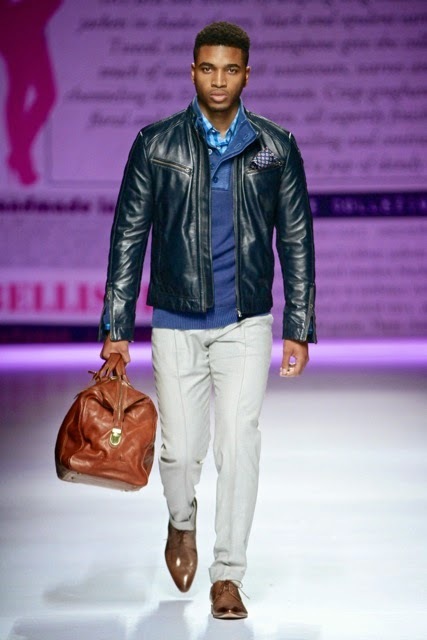 The collection blended modern trends with iconic classics. Traditional tailoring and heritage fabrics which exude dapper charm whilst contrasting sport inspired street wear evoked an unexpected je ne sais quoi. 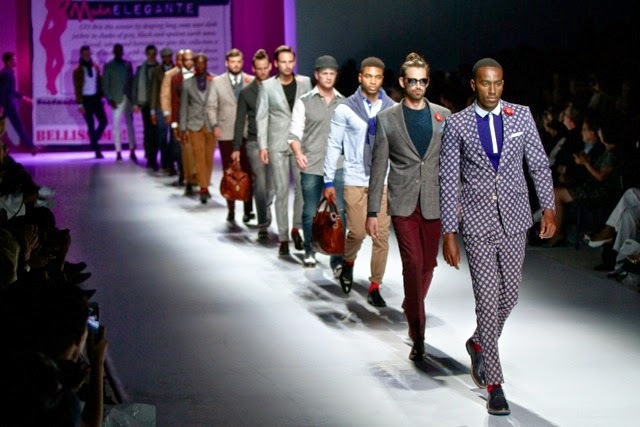 This autumn/winter Fabiani channeled the English Gentleman by draping long coats over sleek jackets in shades of grey, black and opulent earth tones. 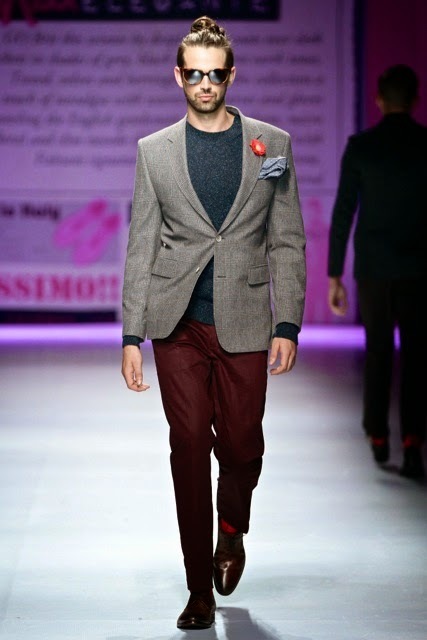 Tweed, velvet and herringbone gave the collection a touch of nostalgia with waistcoats, scarves and gloves. 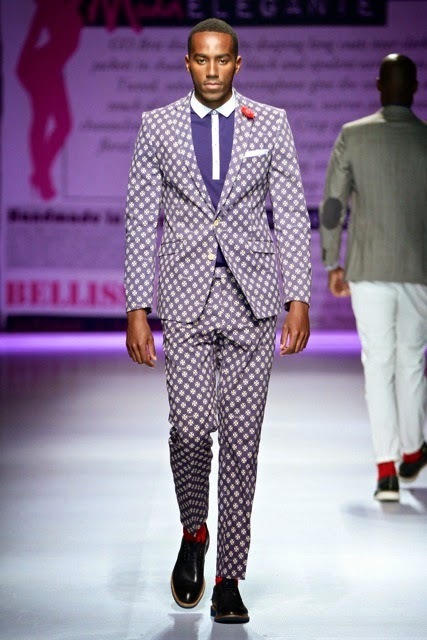 The collection also includes crisp gingham, micro floral and slim tuxedo shirts, all expertly finished with Fabiani signature detailing and contrast trims. 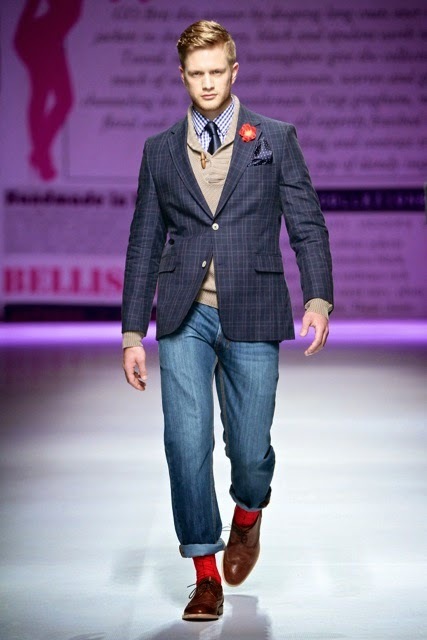 With a big focus on outerwear and layering, Fabiani’s Modern Dandy has an extensive selection from which to choose. 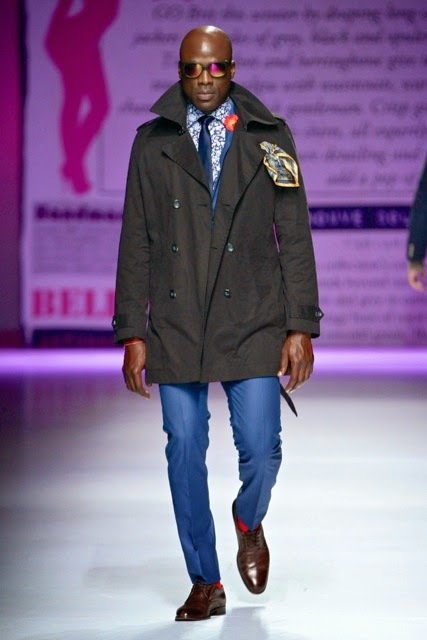 A classic trench with a bold neon pink trim, a sophisticated velvet slim jacket, a buttery Nappa leather biker jacket, a tweed jacket with elbow patches, and window pane check fashion jackets ensure the perfect piece for every occasion. 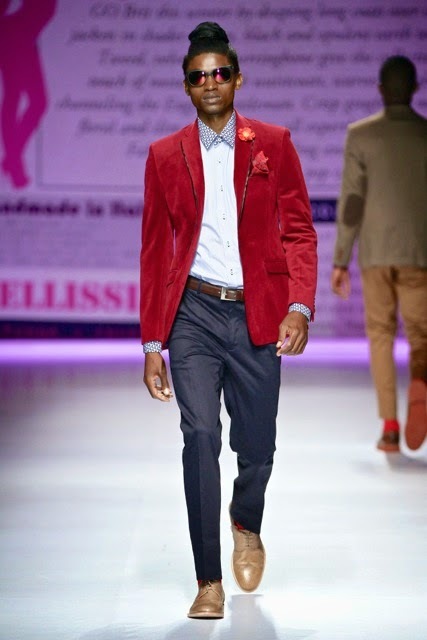 Fabiani showed us how to pair a blazer or coat with luxurious knitwear and to finish our outfit with a pair of cotton sateen chinos for a look that exudes nonchalant elegance. 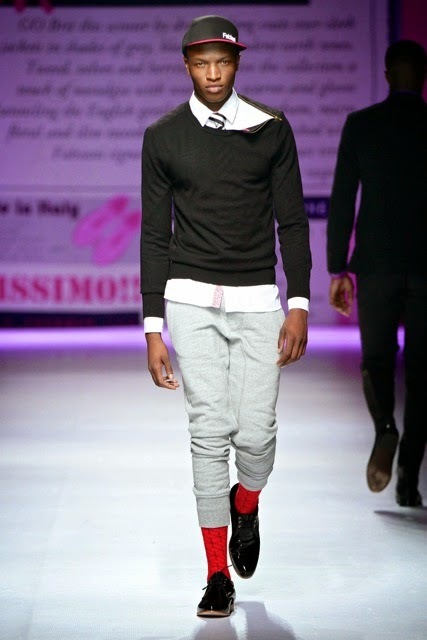 In contrast to this dapper aesthetic, Fabiani also added a playful twist through the introduction of modern sweat pants, patent leather sneakers and polka dot polo. 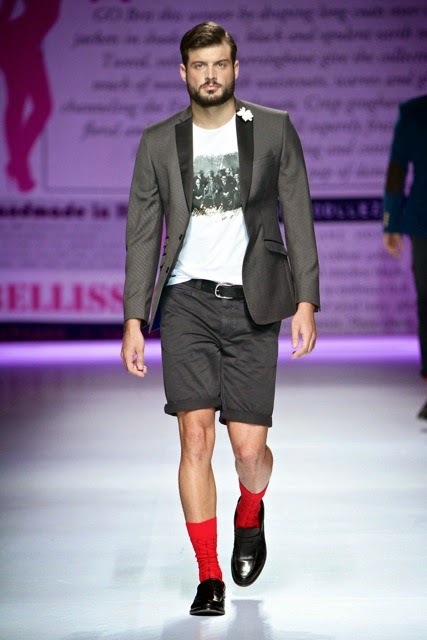 The fusion of heritage fashion with sports luxe styling gives a classic look the Modern Dandy edge. The collection’s colour palette extends beyond timeless black, white and grey to embrace rich heritage hues of royal navy, plum and emerald green. These classic tones are juxtaposed with high sheen sateen to add an alluring sense of street style bling. Shoes in the Modern Dandy collection includes the Chelsea boot, brogue, boot and lace up Derby. 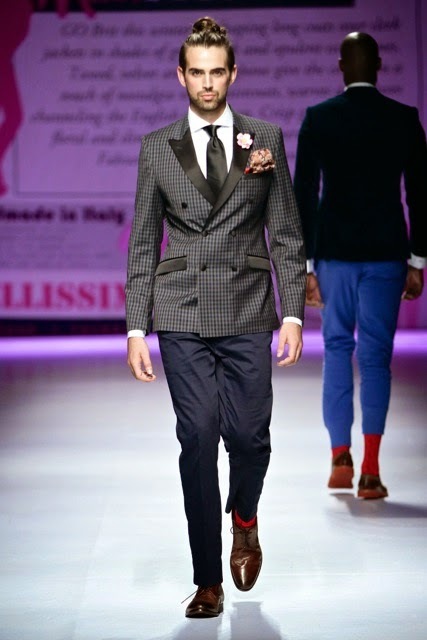 The shoes were handmade in Italy to the highest standards, and styles and is a definite MUST HAVE this season.